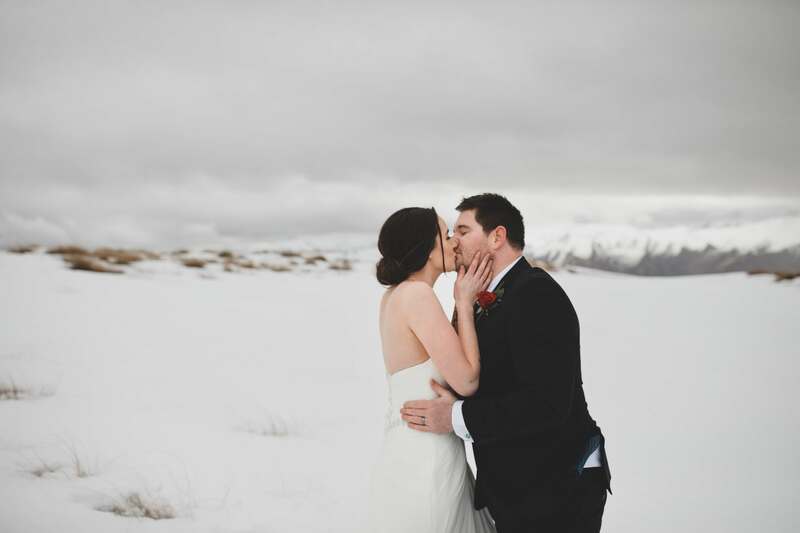 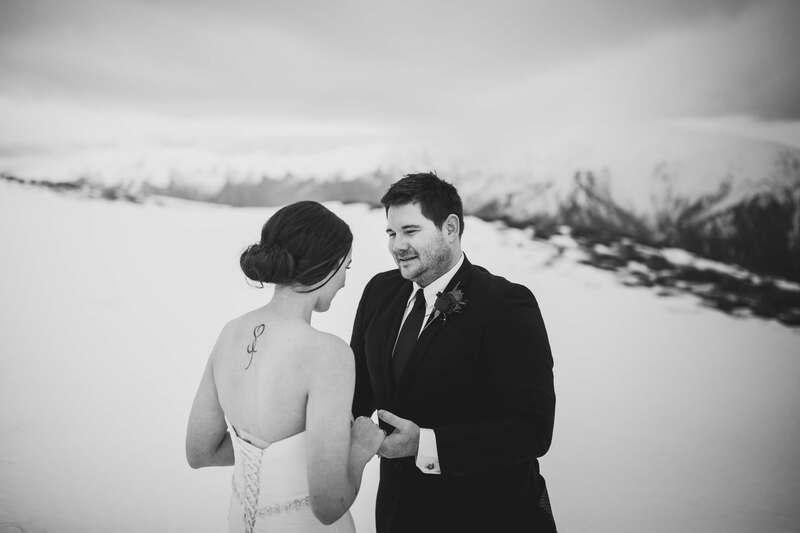 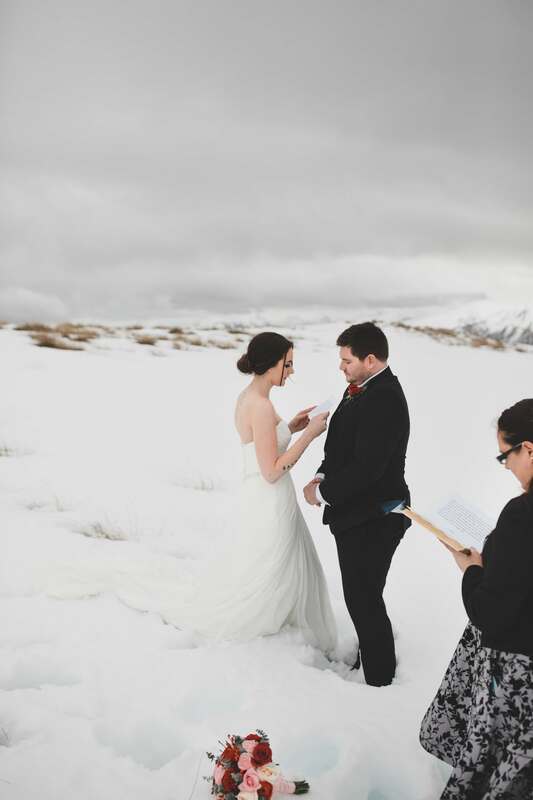 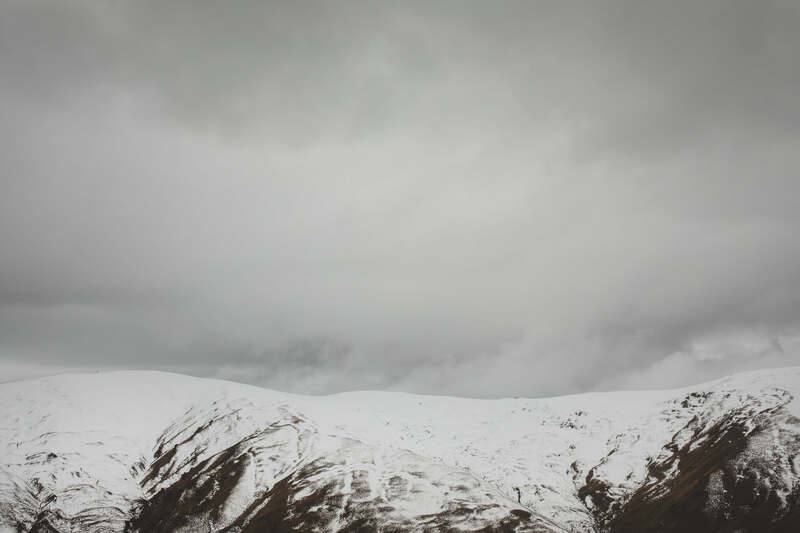 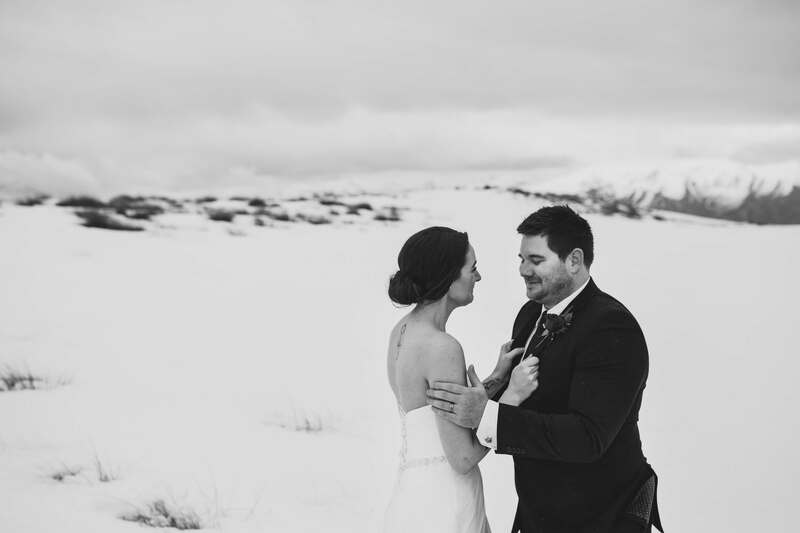 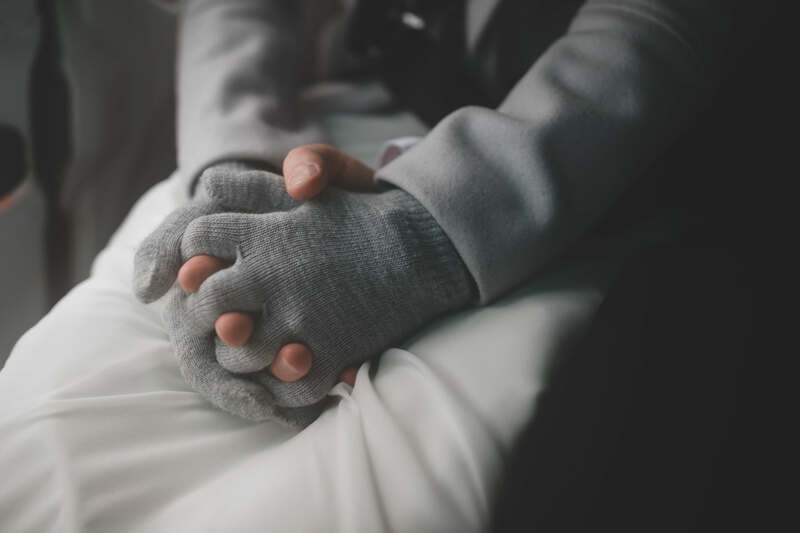 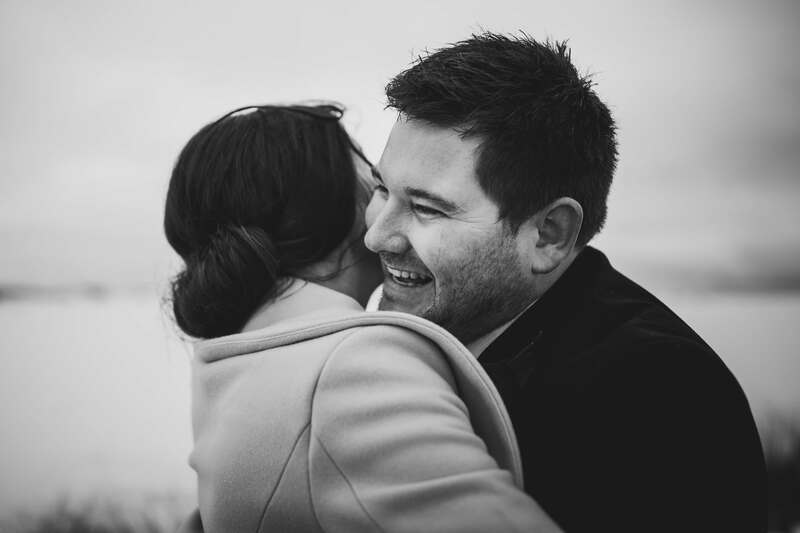 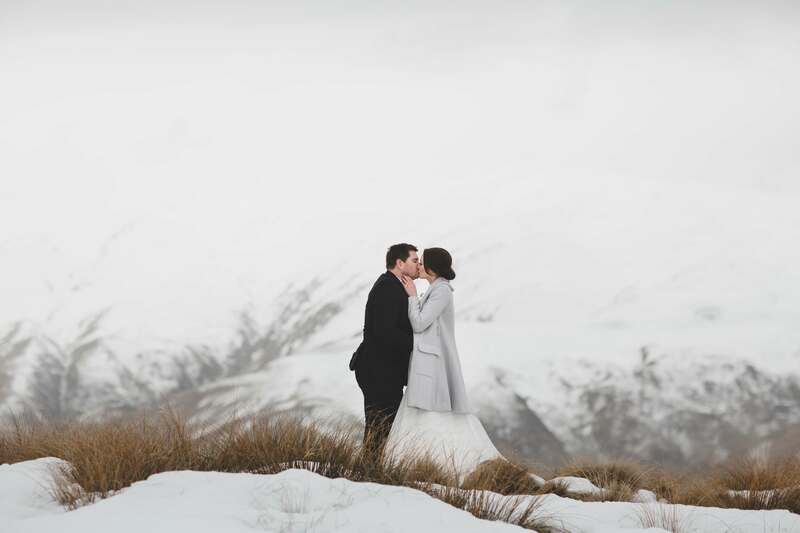 Katie + Bryan had one special requirement for their Queenstown elopement and that was – we have to have snow! 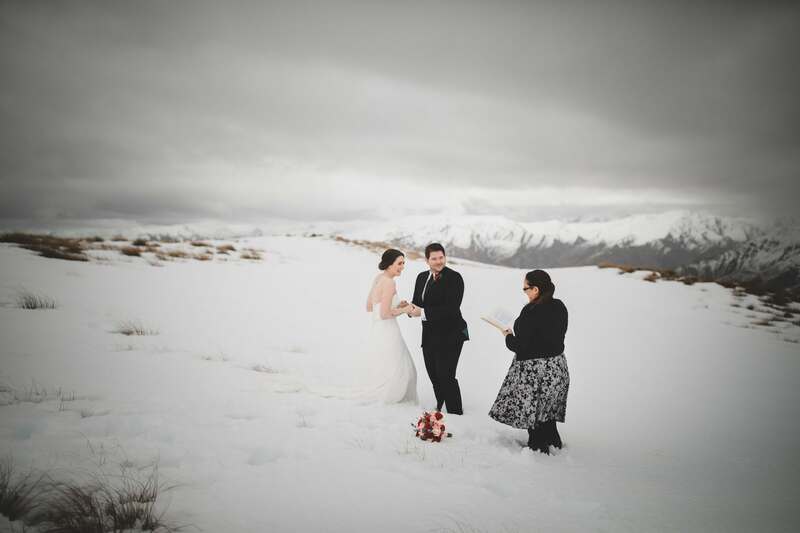 Eloping near the end of August meant that spring was nigh and snow may or may not be around, depending on the recent temperatures. 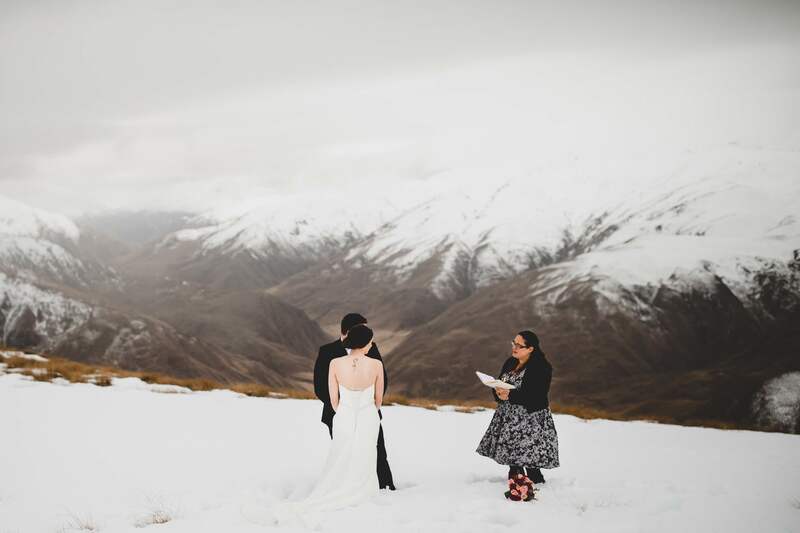 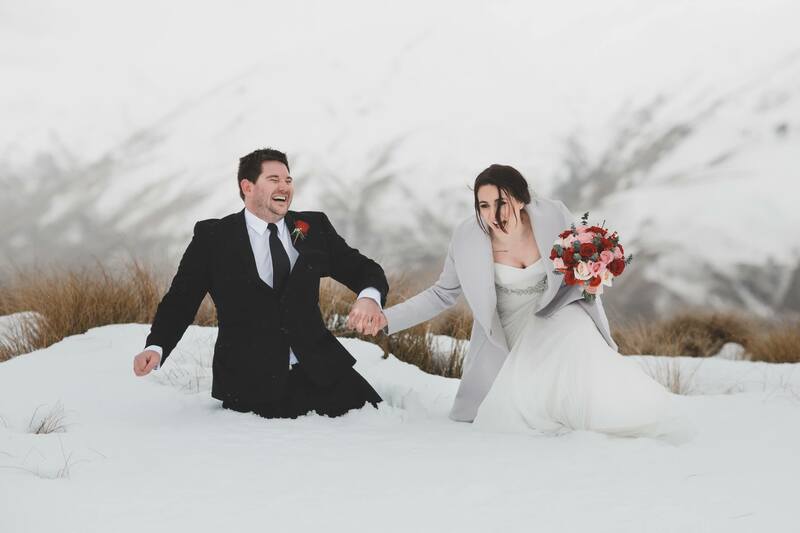 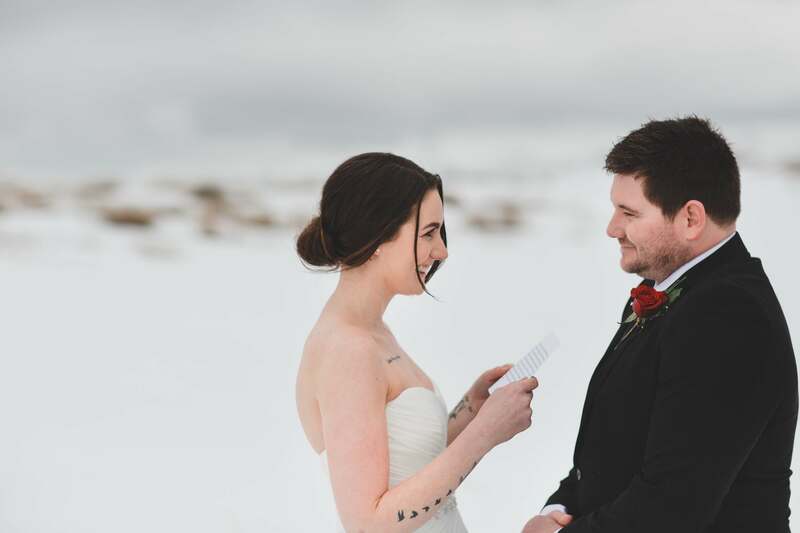 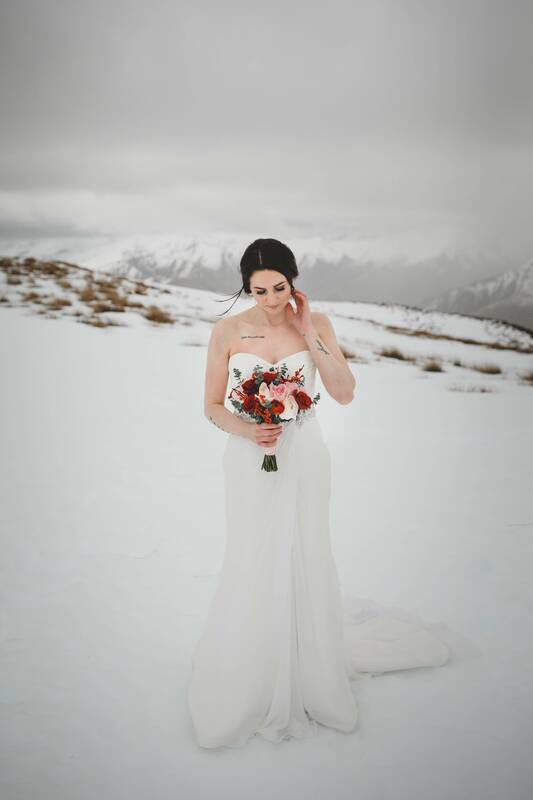 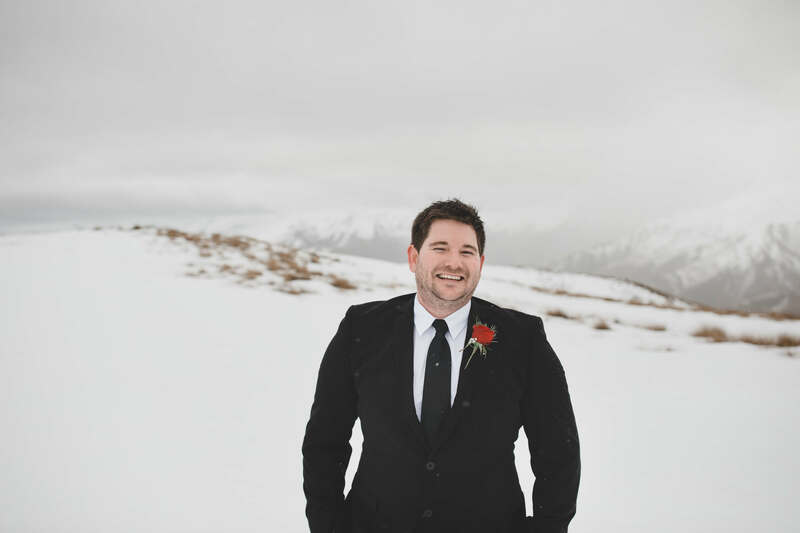 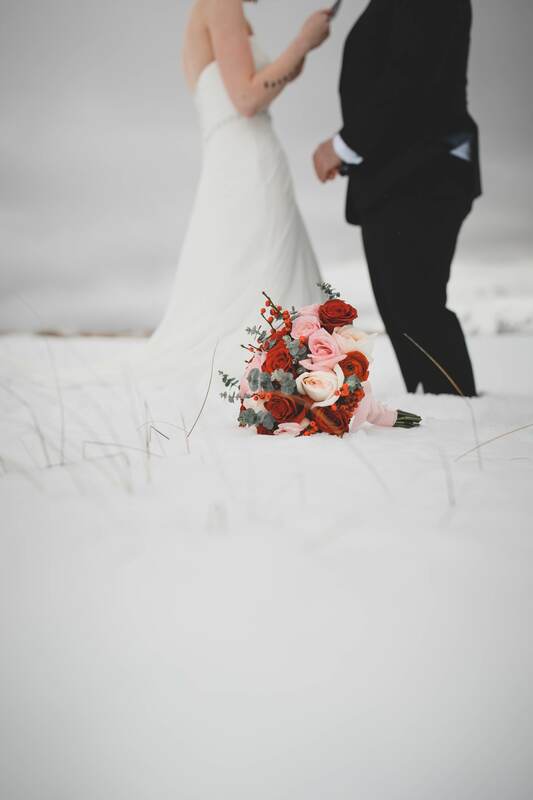 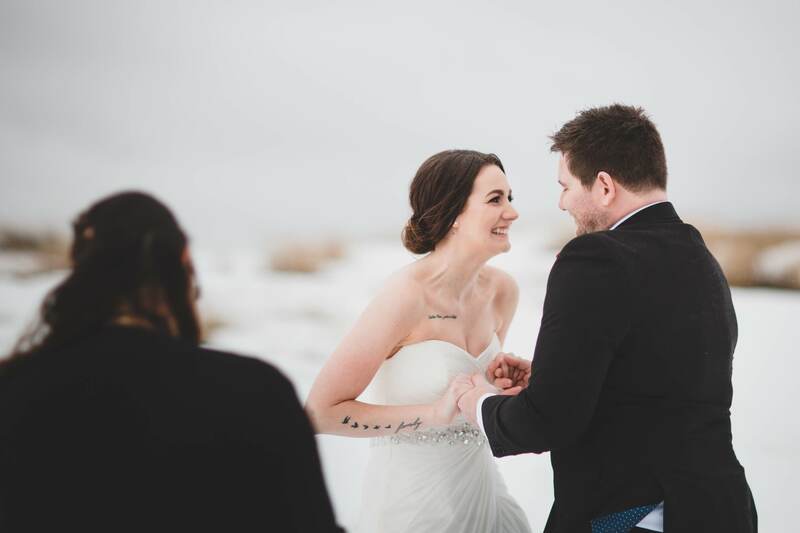 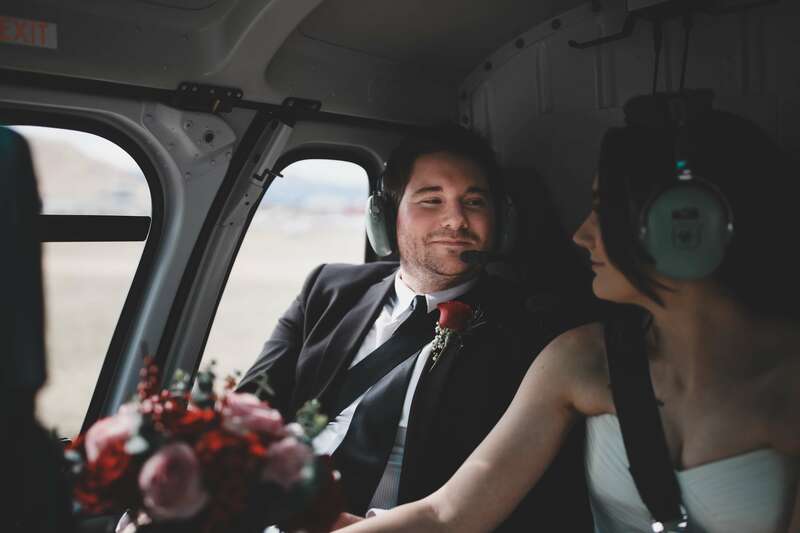 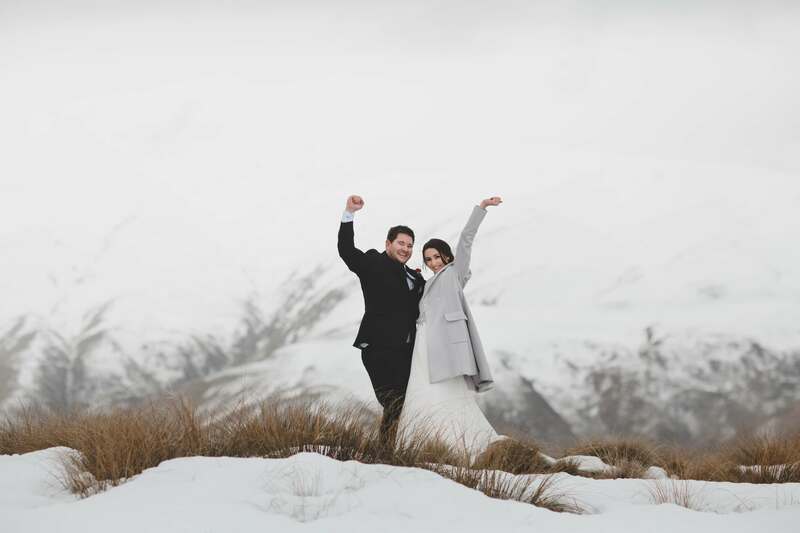 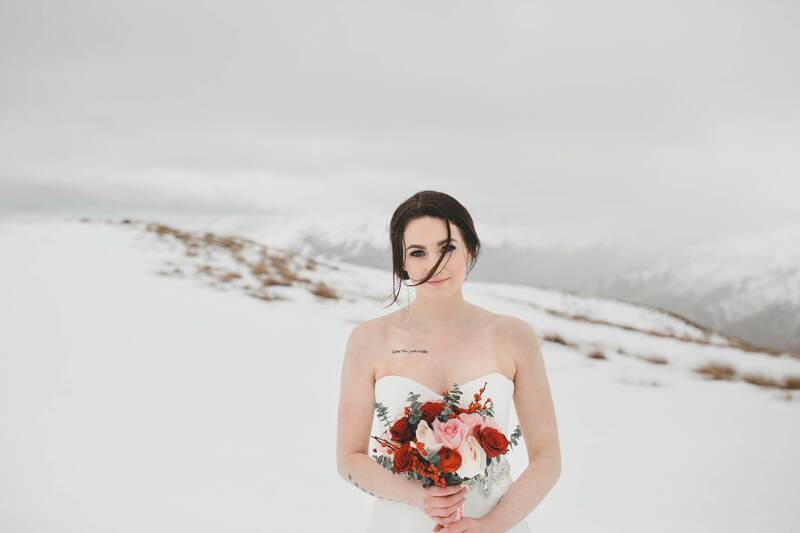 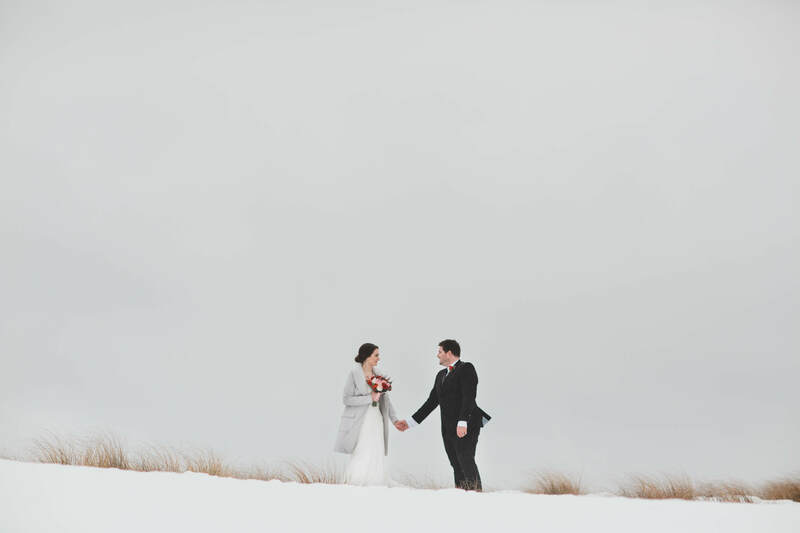 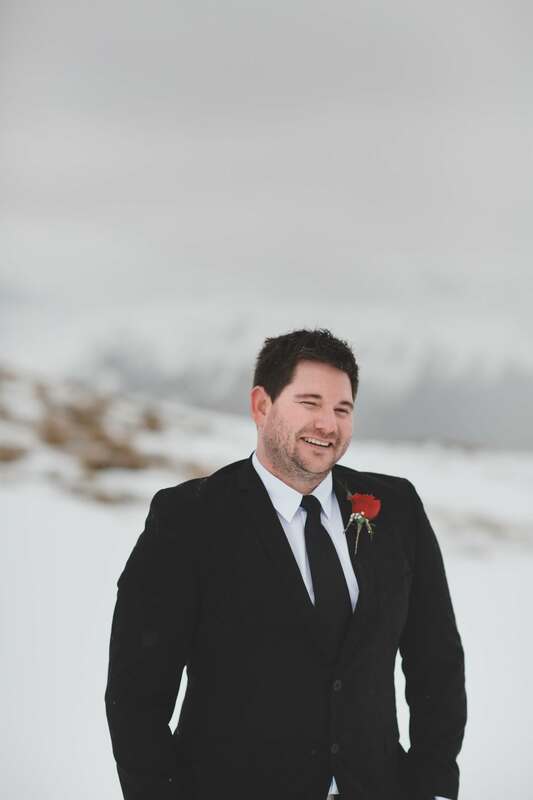 We flew to Mt Sale overlooking Arrowtown and the Crowne Ranges to a mountaintop covered in snow for their ceremony and the result was pure elation and childish joy as it was Bryan’s first time in snow, let alone falling knee-deep into it! 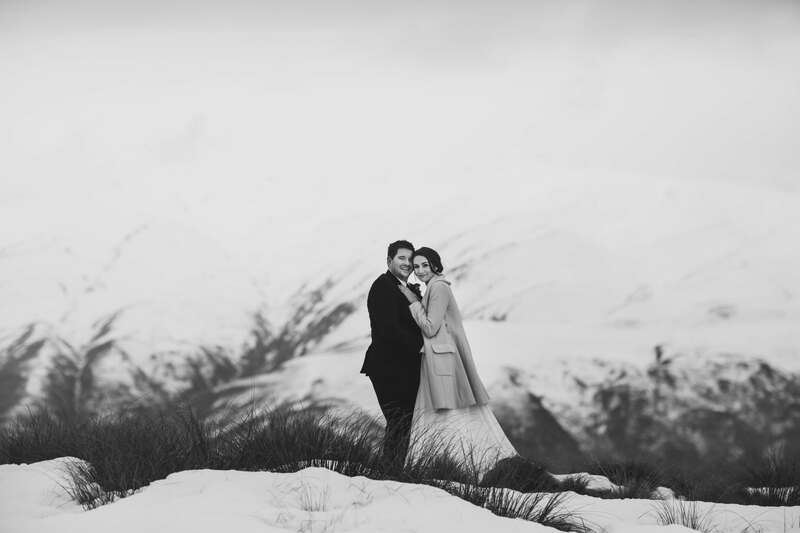 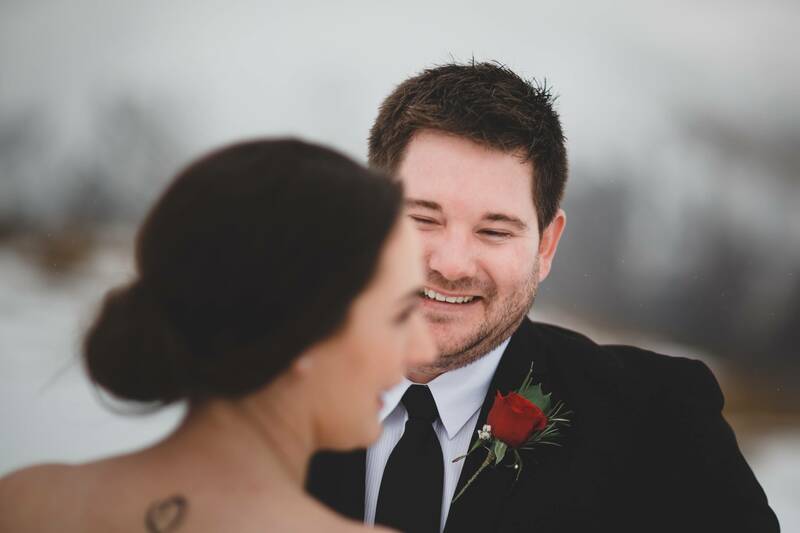 It was a gorgeous, Game of Thrones-esque elopement for these two lovebirds. 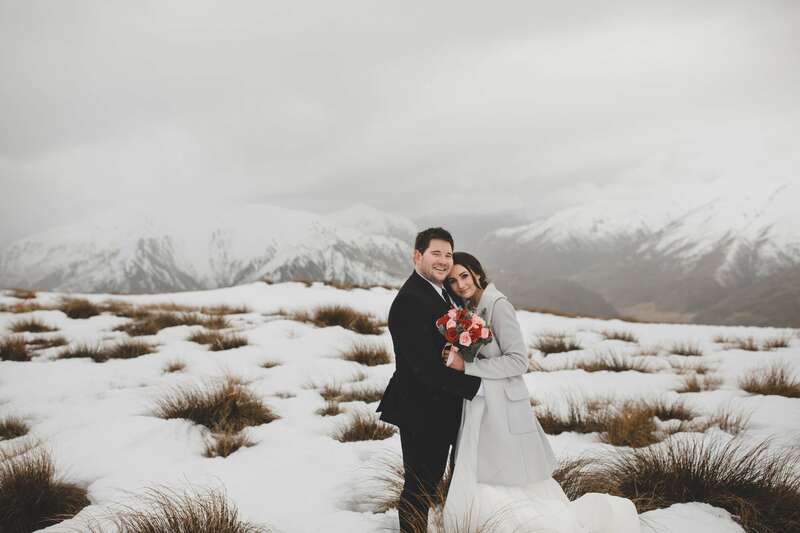 The two headed to the Jardine Boulders for a stunning on-ground photoshoot after the helicopter ride, see the blogpost here.